During the festive season we often indulge in poutines râpées. Learn to make these with Marcel Desroches at the Club 50 d’Âge d’Or de Cocagne, Sunday December 6, 2015. At a cost of $25, this workshop will allow you to learn how to make poutines râpées and you can have 4 poutines for supper (if your bring your own container). Come discover and learn, Sunday December 6, 2015, 8:30am -1 pm, at Club d’Âge d’Or de Cocagne, from Route 535, Cocagne, NB. (bring your lunch). This workshop is organized by Transition Cocagne and Slow Food Cocagne Acadie. The lactofermentation workshop for nov 15th is now full. Join Shannon and Bryan, owners of Broadfork Organic Farm of Nova Scotia in a practical workshop on lactofermentation. RSVP- the number of participants is limited so first come , first serve. The cost is $45 per person and $40 for Slow food Cocagne Acadie and Transition Cocagne members. The cost includes the bottles and vegetables. Transition Cocagne in partnership with Slow Food Cocagne Acadie will be hosting a community breakfast featuring products from Southeastern NB Sunday May 24th from 8am to 12pm at the Club d’age d’or in Cocagne. There will also be a plant sale and information kiosks on the host organizations. This workshop will look at how to use a pressure canner safely for canning different food. We’ll talk about the equipment used and considerations for different foods to ensure that the food is safe. We’ll demonstrate the techniques by canning some food that participants will be able to bring home. RSVP- the number of participants is limited so first come , first serve. Please register by email: transitioncocagne@gmail.com . The cost is $15 per person and $12 for Slow Food Cocagne Acadie and Transition Cocagne members. This includes recipes that participants will bring home. Got some fruit trees in your backyard? Learn how to manage them holistically! Transition Cocagne invites you for a one day course on cob oven building. Rémi Donelle of Aster group (astergroup.zenutech.com) will lead this workshop in French. The course will aim to introduce methods of earth/cob building, and will include theory and practice with the emphasis on hands-on learning. 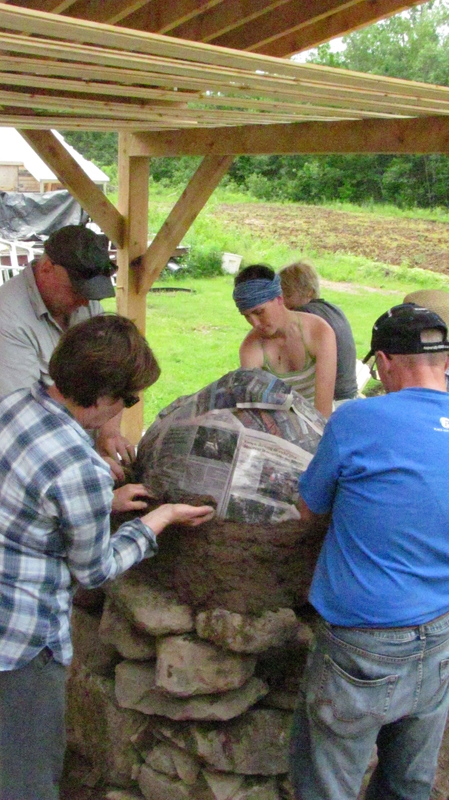 Participants should leave feeling confident in their ability to build the cob parts of an oven and to make and apply an earthen plaster. Cost : 80$/ person, 140$/couple –places limited to 10 participants. First come first serve. Payments will be received at the door. The workshop will be filmed for Champs libres of Mozus production. Champs libres is a series that follows Patrick Thibeault down the food revolution path. Patrick will be realizing his dreams of self-sufficiency. The show can be watched on TV5-UNIS in January and February 2015.